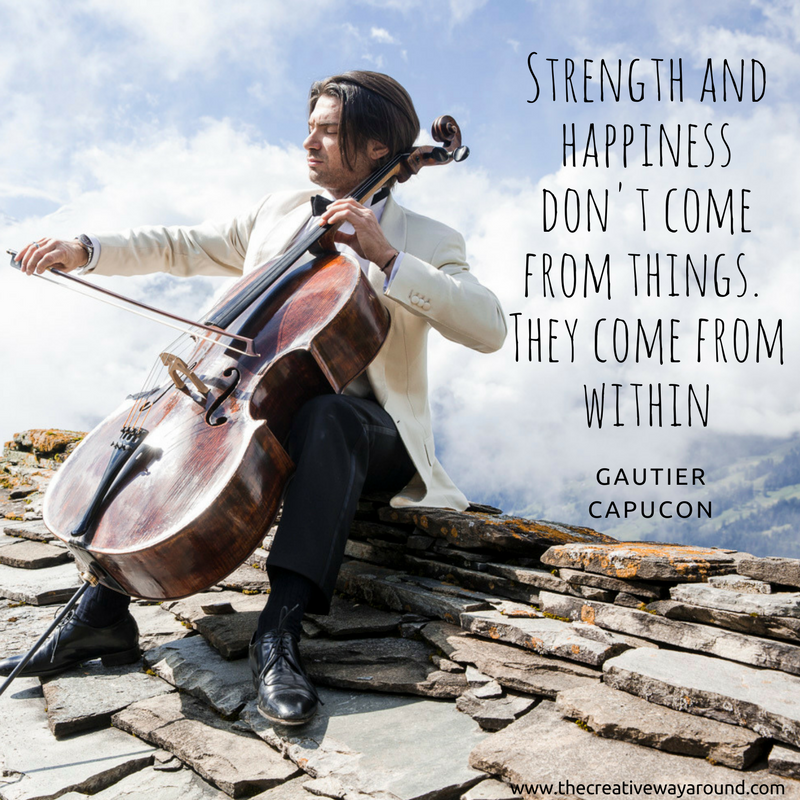 Cellist Gautier Capucon has been a standard of excellence in the music industry for over a decade. Success can often be a fleeting thing, but in Gautier’s case, his success has only grown since his rise to fame. As Peak Performance is The Creative Way Around’s main focus, Gautier has definitely been on my interviewees list for a while. 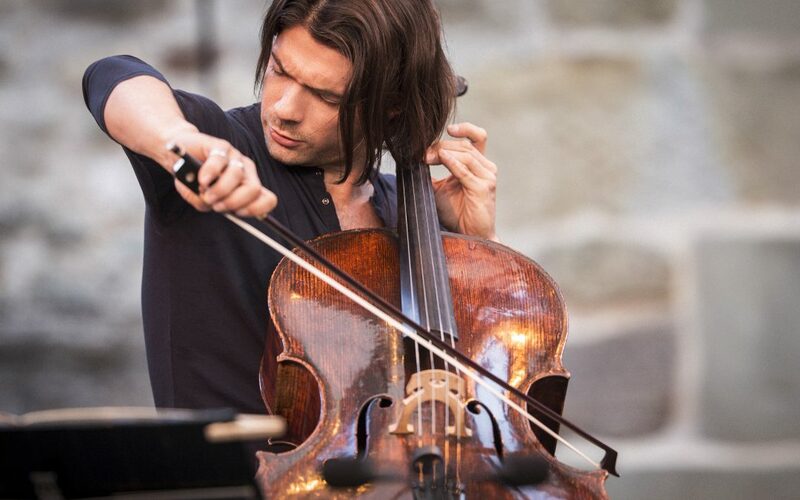 I seized the chance during his Dvorak tour in San Francisco to pick his brain about the thoughts, tricks and strategies that lead him — and keep him — at the top of the game. Giorgia: What do you do to get yourself into a Peak Performance state when you are on stage? Gautier: In my experience, the two most important factors in achieving a Peak Performance state are my mind and body. If I am to perform at my best, I need to be physically well — which to me means rested and as healthy as possible. For instance, on concert days I won’t drink coffee, tea, wine or eat anything that can distract my body or mind. As for my mind, I need to be completely focused on the concert, and in order to be focused my mind needs to be relaxed. Before I go on stage I make sure I give myself plenty of time to free myself from distracting thoughts. As the concert approaches, I’m always hit with adrenaline, which is only natural. If I have been able to prepare myself — both my body and mind — and I feel balanced, then I can tame the adrenaline, ride it, and use it as the extra kick, the extra fire to make a concert truly special. That is me in my optimal state. If I wasn’t able to achieve this balance, if I was tired, or if during that day I drank, say 10 cups of coffee, I would head to the stage stressed. My arms would most likely be shaky and less responsive. My body and mind would be working against me, rather than for me, and I wouldn’t be able to enter that peaceful place where concerts can become magical. Giorgia: Are there any specific disciplines or strategies you rely on, to get your mind to that optimal peaceful place? Gautier: Being well rested is key. Before an evening show, I’ll usually sleep for an hour, maybe two. It’s like a new day when I wake up, and my energy is recharged and at the level I need it to be. Meditation is a big part of the process as well. It’s a fantastic tool for relaxing, focusing, learning to let go. It’s helped me learn a lot about myself. Sports are also very important to me. I run. It helps me let things out, and it releases endorphins. When I run, there’s nothing to distract me — no phone, no emails, and that’s a very regenerating space to be. I spend as much time as I can in contact with nature. It is the basis of everything; it is where everything comes from. The connection with animals — and horses in particular — is really extraordinary and cleansing for me. All these things contribute to shaping the state of mind I’ll be in before a concert, a show or a big interview. Giorgia: How much do the space and the environment influence your mood or state on stage? Gautier: The environment affects me a lot, for better or worse. I am traveling all the time, and wherever I go there are some things I have a hard time living without. A quiet hotel is definitely at the top of my list. People make a difference, too. Sometimes I get to a venue and there are people from the orchestra welcoming me; sometimes there’s nobody. I’ve found that the difference is in the small things. A greeting, a smile. And sometimes there are things we can’t put words to: we might not know why, but we might not feel comfortable or at ease in a certain space, a certain room, or even a certain city. Maybe in 40 years the environment won’t make a difference at all for me. For the time being, I often find myself making a concerted effort to be comfortable wherever I am. The life of a soloist can be very lonely. At the same time, as challenging as it is, it pushes me to get to know myself better every day. Giorgia: Where do you find the strength to handle this life? Gautier: I have to find it inside — nobody and nothing else can give it to me. It’s easy to point a finger at myself and say: “Hey, now you have to be happy because you have this, you accomplished that and you got here”. Sure, accomplishments, reaching goals and compliments can make it easier and brighter. But it’s easy to fall into a vicious circle in which your happiness depends on things or other people. Strength and happiness don’t come from things — they come from within. Finding that strength and that happiness is practice for life itself. You don’t become a monk in a day; it takes an entire lifetime to get to know yourself. It’s very valuable to understand your own emotions, to know how and why they get triggered, and how to either embrace them, or move past them. One of the most important lessons I’ve learned is that when I feel something intensely, whatever or whoever triggered it is not what matters. If it stays with me and if it affects me, then it’s my problem and nobody else’s. We are all so full of fears and they get triggered so easily! Giorgia: So how do you handle the fear when it hits you backstage? Gautier: I simply sit comfortably, breathe, and let it pass through me. It’s like meditation: you shouldn’t fight it — you can’t anyway, it’s impossible — but embrace it. You can’t decide that you won’t be stressed and that you won’t have a reaction, because you’ll have it anyway. So just let it come and let it go, and be at peace in knowing that’s all you can do. When you’re on stage and suddenly your mind sets off an alarm, you can try to have a talk with the brain in the lines of a: “Hey man, I get it: this is difficult…but you got this!”. Many times it works, though there will be times when you’ll be up on stage, slip up and play a wrong note. Giorgia: And when that happens, how do you deal with it? What’s your relationship with mistakes and perfection? Gautier: It’s one of my biggest struggles. I’m too demanding of myself and it’s only increasing. I’m trying to constantly improve, which is great, yet the risk is that I’ll do that at the expense of my happiness. There are two competing voices within me: the artist, and the perfectionist. The artist in me shifted his definition of perfection long ago: if I go to someone else’s concert, I’m the first person to forgive and forget a wrong note–I want a story, I want a connection; that’s what I’m there for. But at my own concerts or practice it’s a different story. Even the tiniest of errors will bring out rage from the perfectionist within me. I’m always working on balancing those two voices. Giorgia: Your life is full of rehearsals, interviews, performances, networking and traveling. Energetically speaking, are all of those things draining for you, or is there a giving-receiving balance? 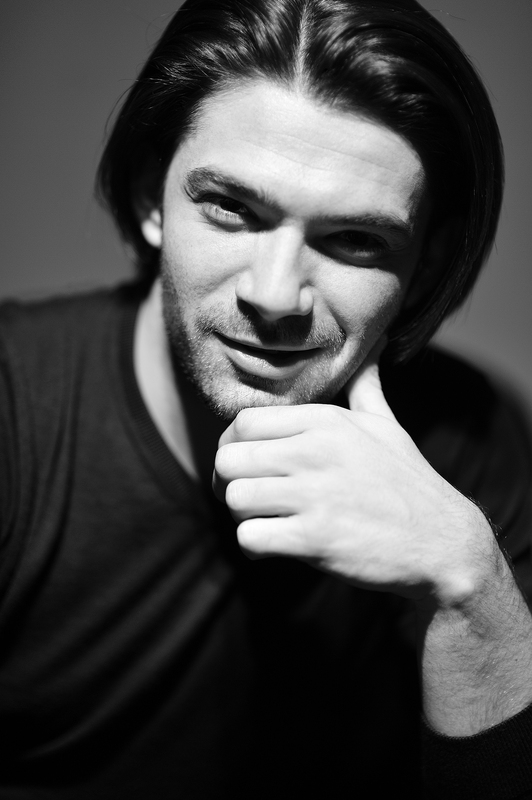 Gautier: It is true that on stage while I play, I give. There is a lot of energy flowing outwards. But it’s not only giving — it’s sharing. In fact, the most incredible magic happens when the energy is circulating between the soloist, the orchestra, the conductor and the audience. It doesn’t always happen, but when it does I cherish it, because I’ll never get tired of that incredible energy that I give and receive at the same time. Giorgia: So is this your personal definition of Peak Performance? Meaning, how does a concert have to look, sound or feel so that you can be proud? Gautier: “Good” as a descriptive adjective for a concert almost doesn’t mean anything to me. Is a good concert one in which you didn’t play any wrong notes? Is a good concert one in which the audience loved you and you played three encores? Maybe a concert which received rave reviews? Of course all these things are great, but they’re not what makes a great concert. A great concert is one in which something special is happening. And that’s why I make music: to communicate, to move others inside. And I get moved in return when someone comes to me after the concert and says: “You know, this is the first time I’ve been to a concert and you made me fall in love with music: I’m gonna come again!”. Or if someone tells me: “I’m going through a difficult period in my life, and for whatever reason your music tonight helped me”. That’s a great compliment. Sound is undeniably important, but it’s the personal and emotional dimension that I’m afraid is being ignored in the classical music industry today..
Giorgia: I hope your multi-dimensional perspective, which I share, gets contagious! Gautier: Me too. And that’s why I teach it to my students of the Classe d’Excellence de Violoncelle de la Fondation Louis Vuitton. We still talk about technique and music theory of course, but on top of that I am developing a curriculum which includes the things that never get discussed. Health, for instance. I had an outstanding hand surgeon come out and talk to the students about how important it is to listen to our body. If one little thing goes wrong, it’s over, and it’s incredible how little attention musicians pay to pain signals from their body. I had managers and promoters come to the academy and talk about the commercial aspects of a career in music: how to perform well in an interview. How to speak on the radio. How to find a manager and talk to a promoter. What music schools are doing is fantastic, and I didn’t start my Classe d’Excellence de Violoncelle to compete with them, but rather to add my voice to what they are already doing. Giorgia: It sounds like you learned about all these extra layers from personal experience, not from someone who guided you through them or warned you in advance about risks and challenges of the life of a soloist. In this sense, it seems like you guys have it particularly rough compared to, say, professional athletes from the major sports leagues. Just as intense physically, mentally and emotionally, but without the support of a coach, of a physiotherapist and of close team-mates. Gautier: That’s a huge problem. When I become a professional musician, I wasn’t given a coach who walked me through the ups and downs that come with the life. In general, it is up to us touring artists to figure that out. Even in areas that are the most crucial to our long term success, like our health. What we do is extremely physical. Between traveling, playing the cello, the plane, the suitcases, sleeping jetlag off in cars, this life can be rough on the body. But there’s no physiotherapist who follows us around constantly checking up on us. Again, it’s up to us to figure that out. I make sure I visit a physiotherapist at least three times a month, because if I don’t, I run the risk of waking up one morning and not being able to move my head. Professional athletes have a big team around them, while we have to take care of these things on our own. I don’t know if it’s possible to fix this in the short term, but what we can do is create a platform for these conversations to come to the surface, so that the new generation is warned in advance and can really have a clear picture of what they are buying into. Which is why I think the work you are doing with The Creative Way Around is extremely important. Giorgia: Any last word of advice to your young soloist colleagues, who are just starting their career? Gautier: If you hear stories of injuries, burnouts, or great musicians quitting, it can be a bit scary. But instead of ignoring these stories, consider looking deeper into them and finding out why they happened. It might be something you relate to, and you might be able to set yourself up to avoid something similar on your own path. We are lucky to live in a sharing culture and time, so take advantage of the advice and support of professionals in the industry and of the experience of those who have been at this for a while!